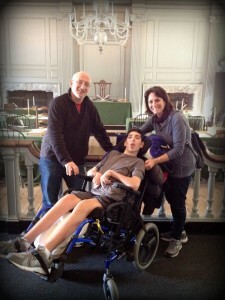 —we could not offer Ethan treatments like those he is receiving in Philadelphia (Malvern area). Your contributions to Help Hope Live and your unconditional support with offering transportation, meals, taking care of our other two children and new friendships—these are the things that are making this all happen. This would not be possible without YOU. 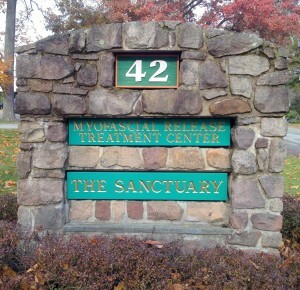 Ethan has completed week one of his three week treatments at the Myofascial Release Center. The Center is relaxing and full of all the energy and spirit required for healing. The therapists are fantastic—each offering their own special energy allowing Ethan to work on releasing a lot of what is locking up his system. After one week of treatment, we are seeing encouraging signs of improvement in his back/spine region. Ethan seems more comfortable during the day and is sleeping better at night. We look forward to what the next two weeks hold. 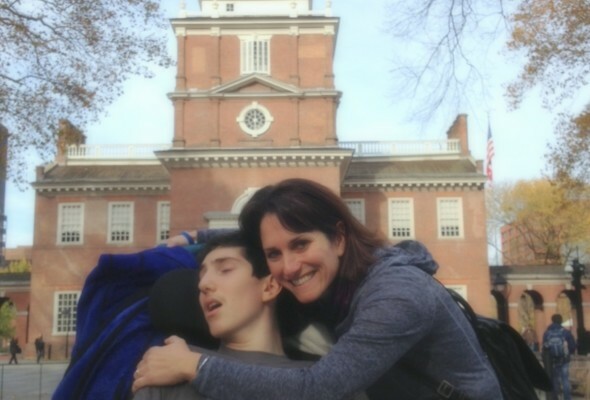 We continue to be blown away by the power of Team Ethan. Whether it is the core in Cincinnati helping care for our other two children and our dog, or the Philly Branch ensuring that every need we have while visiting is taken care of before we even know we have a need, to some of our Care Team (Home Nurses) who have traveled with us to ensure Ethan is cared for while we get rest at night. 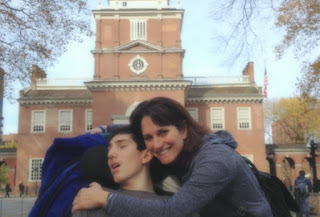 The Team is a Community of passionate people who unconditionally care for Ethan and who constantly root him on as he works so hard on his therapies. car magnet to proudly display. Follow Ethan on his blog or his Facebook Page as we will continue to provide updates during the next two weeks of treatments.